The fear of learning of any abnormality can be intense. It is not only our physical health that is essential for functioning on a daily basis, but our mental, emotional and spiritual well-being that allows us to be happy. The bad news following the discovery of a potential condition is obvious – there’s a problem. The good news concerning blood clots is that the ability to recognize early warning signs of a blood clot can keep you alive. But before discussing the symptoms indicating blood clots, it’s important to know what they are. 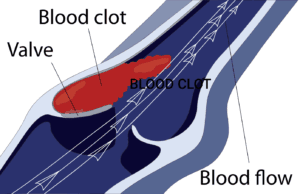 Clots form because a blood vessel is obstructed. The blood coagulates into a mass of cells. Often, the clot will dry up. At times, the clot will form inside a vessel and must be addressed medically. Occasionally, the clot is a result of pulmonary embolism, meaning pieces of it detach from the mass and make their way to the lungs. In other cases the condition known as deep vein thrombosis develops in which a clot forms well underneath the surface. 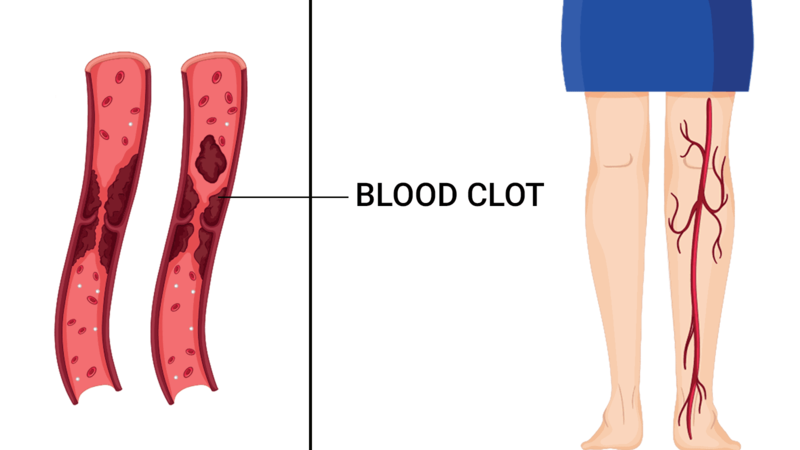 Blood clots originate in the leg, and when one forms, there will be swelling in the veins. This leads to pain in the calf muscles. Making matters worse, the calf tissue is thick and therefore makes it difficult for the system to eliminate the clot. If common remedies to reduce swelling don’t work, a clot may exist. A noticeable change in the body is scary. Ignorance only increases that fear. Knowledge lets the individual understand and address the potential problem. One red flag is an increase in temperature on and around the afflicted area. In addition, the region will be itchy and sore. If attempts to treat the problem using home therapies fail, it is an indication of the existence of a clot. Understanding the issue allows one to prevent the condition from worsening. If your schedule is hectic and there never seems to be a moment to relax, it’s understandable that the system suffers fatigue. But absent that heavy regimen, exhaustion may signal a blood clot that the body is trying to destroy. In order to do so, the heart must work overtime, causing unexplained exhaustion to occur. This condition also occurs in deep vein thrombosis. If the heart and lungs are stressed due to a clot, shortness of breath may be experienced. This condition (plus additional symptoms associated with the formation of blood clots) is a sign that things are critical and must be addressed immediately. Get to your doctor now. There is still time for treatment and a return to good health. When the blood clot gets to the lungs, the person will develop severe pains in the chest and sides. The pain will be sharp, intense and burning. The region will be achy and feel heavy. If simple movement causes pain it is another early warning sign of a potential blood clot. A person who experiences discomfort from normal acts like bending over, laughing or coughing, it is an indication that a clot has potentially arrived in the lungs and must be treated quickly. An additional problem when this happens is the panic that sets in with the individual who does not understand what is happening. Report to the emergency room for treatment as soon as possible as the condition is serious. If severe cramps become frequent it is a serious sign that a possible blood clot exists. Everyone experiences cramps from time to time. But dehydration associated with clotting can lead to cramps. Look for discomfort in the calf muscle as an indication a clot has formed. Normally, the way to relieve a cramp is to bend the foot backwards to stretch the muscle. If that practice doesn’t help and the pain increases, there is a good chance the cause is a blood clot and the matter should be treated. Pain in the foot is a serious effect of blood clots. Blockages hinder proper blood flow to these areas and the lack of oxygen to the foot leads to major discomfort. In the calf, a condition known as deep vein thrombosis can create harsh pain that makes walking difficult and arising from a sitting position painful. When the heart works harder to eliminate the clot, the heart-rate will increase. This leads to issues ranging from a low-grade fever to dizziness upon rising after sitting or lying down for a while to anxiety. These are symptoms not normally associated with blood clots and because of that, may be overlooked or not taken seriously. Knowing these subtle signs can save your life. Better to be safe than sorry should a concern turn out to be nothing at all. No one likes to acknowledge that they have an illness. But denial and ignorance can only make the problem worse. A well-informed individual can identify the early warning signs of blood clots and treat the ailment before it becomes fatal. Education is everything and being proactive is the best way for the person to have control over their own well-being. With the proper approach, the threat can be confronted and tomorrow will be a good day! Take control and believe it. Remember that “he who conceals his disease cannot be cured” (Ethiopian Proverb). One must be open and honest with one’s condition in order to ensure a problem can be solved.